Peoples Democratic Party PDP presidential candidate Alhaji Atitu Abubakar has said that he will allow full participation of women and youths in his cabinet if elected in the next presidential election come February 16. Alhaji Atiku said no doubt, if he emerged winner as the next president of the federal republic of Nigeria, women and youths will form 50 percent of his cabinet members. 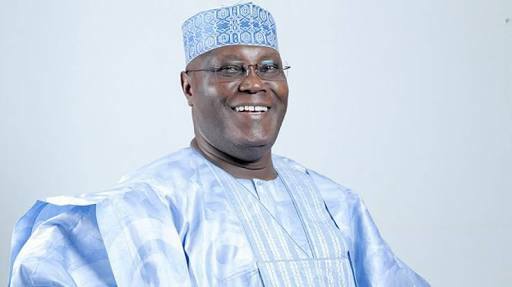 Atiku made this known on Tuesday during the party’s presidential campaign held at Nelson Mandela Freedom Park, Osogbo, Osun State Capital. The presidential aspirant pledged that his administration will give maximum attention to the cries of the masses. He promised to provide adequate security, revamp the deplordly economy of the country and protect the interest of the masses. He urged the people of Osun to troop out enmass to vote for PDP aspirants in all the elections. He also charged them to be at alert to secure their vote during and after the election, while appealing to them not to sell their voters card to anybody. “We are aware that INEC has deposited some voters cards to some APC Governors, please don’t be intimidated, stay with your votes, don’t let them rig the election like they did in the previous election held in this state”. Atiku said. Former Governor of Osun State, who doubles as the chairman coalition parties in Nigeria, Prince Olagunsoye Oyinlola faulted the policy of the present administration. He said President Buhari has failed in all his campaign promises to restructure Nigeria, adding that, policy of the present administration has retarded the economy of Nigeria from how he met it. He said, before Buhari came into power, insurgency was limited to Borno state, but after his emergence, insurgence has spread to other prominent states in the country including Kastina where the president came from. He stressed terrorism has become a recurrent decimal due to lack of adequate security in the country. PDP National Chairman, Uche Secondus charged the new IG, Adamu Muhammed to be proactive in protecting lives and properties of the masses, and use his office to restore peace back in all the states affected by insurgence. Earlier, Atiku Abubakar had paid courtesy visit to Ooni of Ife and Owa Obokun of Ibokun's palace for the royal fathers support and blessings.